5...4...3...2...1...blast off ! Take a detour to the moon, roll off to mars. Now, jump together and let’s speed past Jupiter, Saturn, and Uranus. Destination Neptune, here we come! 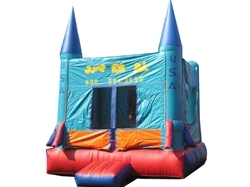 This incredibly fun inflatable bounce house is popular with boys and girls alike. 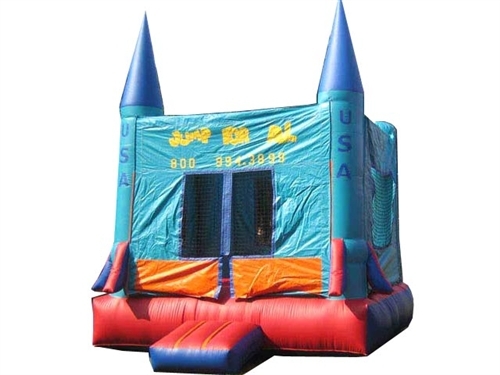 Built out of sturdy, vinyl material, it is designed around two super-charged rockets. There’s plenty of inside space, and a window with a view of the stars .